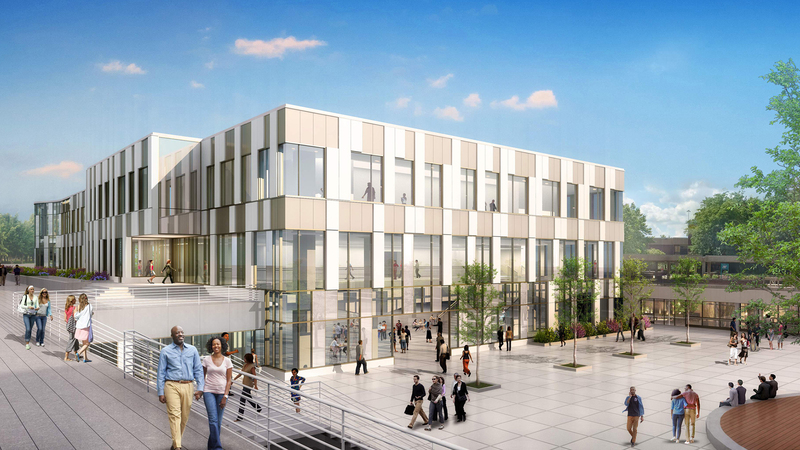 The primary vision of the new Metro Campus Center is to connect and activate the renovated building and adjacent central courtyard to the community and the rest of campus. Our solution rids the building of its heavy, opaque skin and dresses it in an optimistic, transparent aesthetic, complementing the existing architecture while visually blurring the boundaries between the interior and exterior. Cuyahoga Community College’s Metro Campus was designed in the architectural style of Brutalism; it is fortress-like, its focus is inward, windows are sparse, and rough-faced concrete and brick are used relentlessly. The unintended effect on campus today is a disconnect from the community. 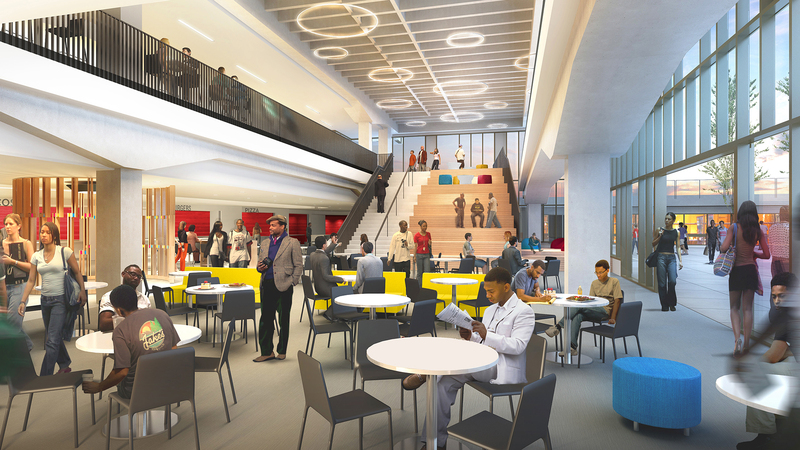 The campus lacks a central space where students and faculty can gather and feel the sense of community. 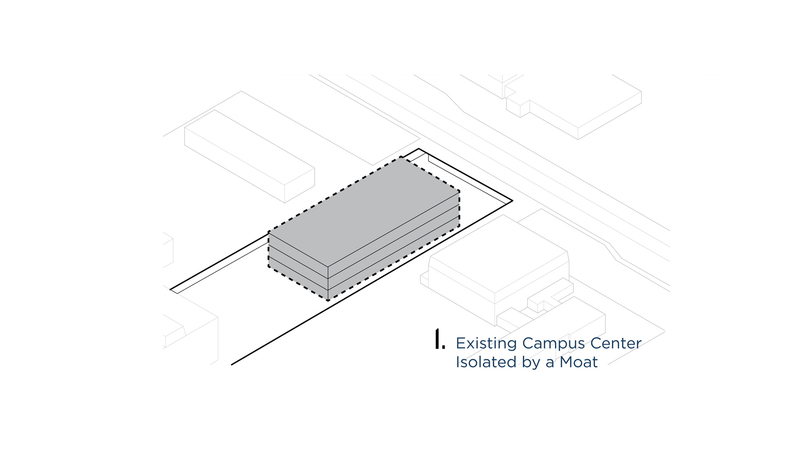 The existing campus center is the only building which is not connected by an interior concourse which runs through the lower level of all other campus buildings. 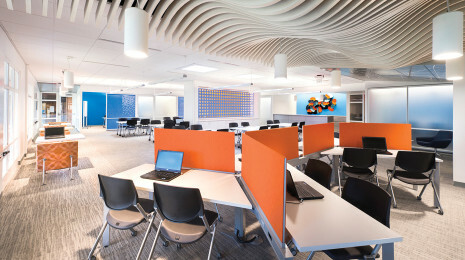 Bialosky Cleveland was contracted to reimagine and rebrand the existing Campus Center building. 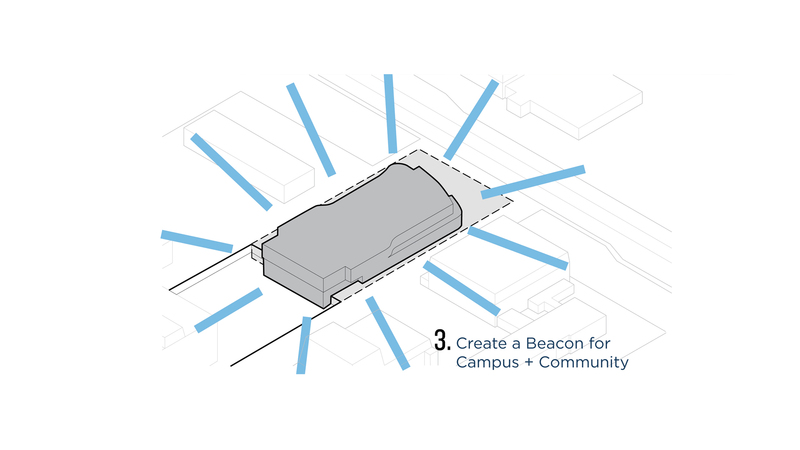 Our approach is to connect and activate the building and adjacent central courtyard to the community and the rest of campus. 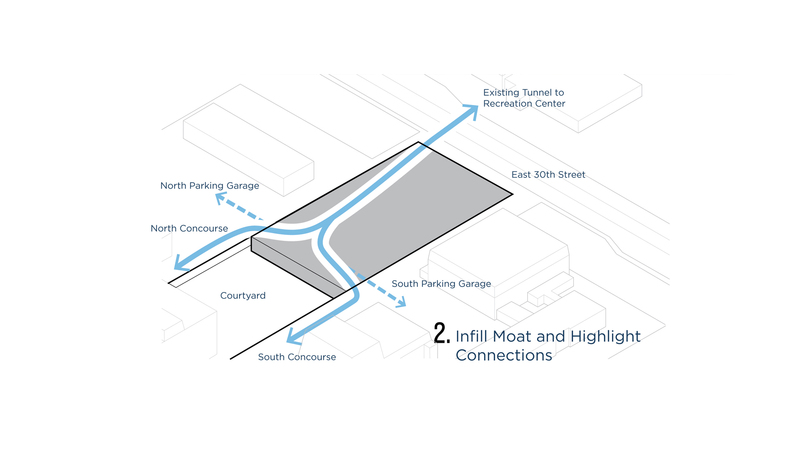 The solution rids the building of its heavy, opaque skin and dresses it in an optimistic, transparent aesthetic, complementing the existing architecture while visually blurring the boundaries between the interior and exterior. 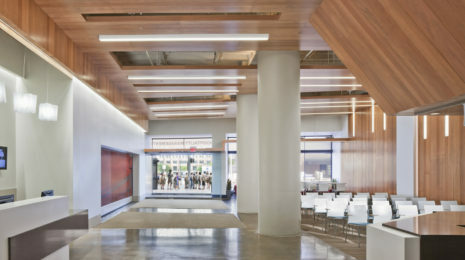 Bialosky worked hand-in-hand with the leaders of 10 separate programs to compose an environment which bustles with activity and becomes the true heart of campus. 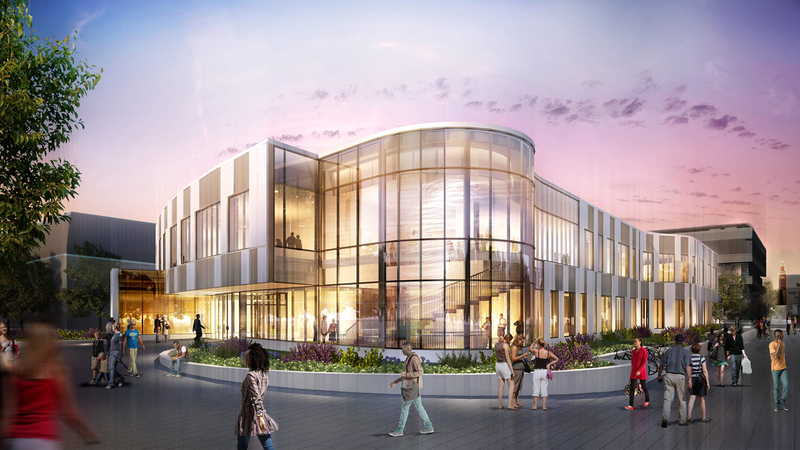 Perhaps nearly as important as the success of the design is the orchestration of move management such that all college programs are able to maintain full function from demolition through completion of construction.